Narayana Health has successfully married affordability and quality health care. Hands that serve are more sacred than lips that pray." The words of Mother Teresa had a profound effect on Dr Devi Shetty, who was the late Nobel laureate's personal cardiac surgeon in the early 1990s. Dr Shetty then worked at the Birla Heart Foundation in Kolkata (Calcutta then). At the time, he would see over 100 heart patients daily. Most needed surgery but never came back for it. This intrigued him. He soon found out that the high cost of cardiac surgery (Rs 1.50 lakh then) was the reason. He realised that almost 80 per cent of health-care expenses in the country were borne out of pocket. Even worse, 47 per cent of rural and 37 per cent of the urban population either borrowed money or sold assets to pay for medical expenses. Indians are genetically three times more vulnerable to heart attacks compared to Caucasians. Yet only 120,000 heart surgeries were performed annually when the need was for two million. "It was clear costs had to come down," says Dr Shetty. Quality health care and affordability did not go hand in hand. Those seeking affordability had to be content with government hospitals, while quality seekers had to spend their way into private hospitals. Dr Shetty began searching for a model that would marry affordability and quality. "I was certain of one thing though - charity is not scalable while a sound business model is," he says. In 2001, he founded Narayana Hrudayalaya (later renamed Narayana Health or NH) in Bangalore with a mission to take affordable health care to the people. What started as a 280-bed hospital then has, in the last 13 years grown to become a 26-hospital network with 6,900 beds across 16 cities employing 13,000 people and 1,500 doctors. It has so far performed over 100,000 cardiac surgeries and 250,000 cath lab procedures. The group performs 150 major surgeries (including 44 cardiac surgeries) daily. 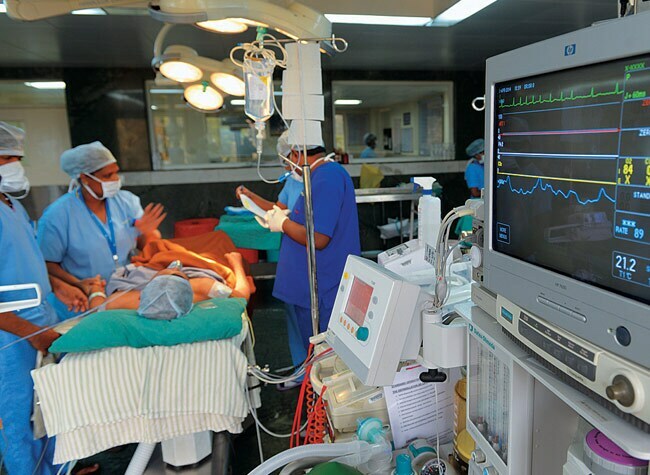 NH says about 12 per cent of all cardiac surgeries done in the country are performed at its hospitals and 50 per cent of its patients are from the economically-weaker sections. FULL COVERAGE: Biggest Innovations This CenturyNH has been able to achieve this by bringing the cost of surgery down. According to an article by Vijay Govindarajan, innovation guru and Coxe Distinguished Professor at Tuck School of Business at Dartmouth College, US, in Harvard Business Review, NH's average cost of a bypass surgery is $1,500 (Rs 90,000) compared to $1,44,000 in the US, $27,000 in Mexico and $14,800 in Colombia. Interestingly, NH's cost of cardiac surgery is significantly lower than what it was in India 13 years ago. The lower cost has not come at the expense of quality. NH's mortality rate (1.27 per cent) and infection rate (one per cent) for a coronary artery bypass graft procedure is as good as that of US hospitals. Incidence of bedsores after a cardiac surgery is globally anywhere between eight and 40 per cent. At NH, it has been almost zero in the last four years, points out Dr Shetty. The focus on both cost and quality has not hurt NH's financials either. While NH's revenues grew by over 200 per cent in the last five years to Rs 827.35 crore in 2012/13, its earnings before interest, taxes, depreciation, and amortisation (EBITDA) margin is a healthy 13 per cent. (NH's EBITDA for 2012/13 stood at Rs 97.79 crore.) Private equity funds JPMorgan and Pine Bridge have picked up a 24 per cent stake in NH. They clearly believe NH is creating long-term value for investors. How did Dr Shetty manage to successfully tie affordability and quality together? "The most important reason for NH's execution success is its commitment to purpose. Organisations that pursue bold dreams can inspire their employees to achieve the impossible. NH attracts doctors, nurses and other staff who buy into this vision that they must provide high tech, high quality care to all, irrespective of means," says Govindarajan. Commitment to purpose is just one reason. Dr Shetty came up with a model that leveraged economies of scale. He built large hospitals and attracted large number of patients through innovative schemes such as micro-insurance and telemedicine. Higher volumes cut per unit cost of surgeries. "Henry Ford taught us this simple principle over 100 years ago. Automobiles went from craft to mass production. Dr Shetty has transformed open heart surgery to mass production using industrial organisation's execution playbook," says Govindarajan. "By the way, when you perform open heart surgery on an assembly line, not only does the cost go down but quality goes up. Performing a medical procedure repeatedly improves a doctor's skill and reduces errors." 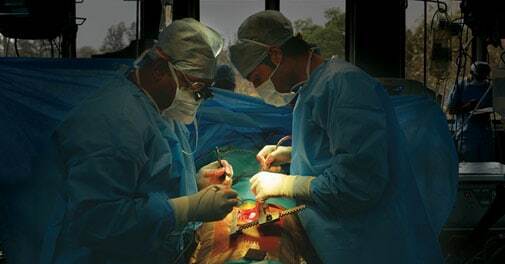 Dr Shetty then leveraged the hierarchy of medical talent in optimising surgical procedures. At NH, doctors operate as teams. Each team has a specialist, junior doctors, trainees, nurses and paramedical staff. "A bypass surgery typically takes about five hours. The critical part, which is the actual grafting, takes only an hour. The specialist does that while harvesting of the veins/arteries, opening and closing of the chest, suturing and other procedures are done by junior doctors. The preparation of the patient is handled by nurses and paramedical staff," says Dr Lloyd Nazareth, President and Group Chief Operating Officer at NH. This process leaves the specialist free to perform more surgeries. At NH's Bangalore facility, a surgeon, on average, performs four surgeries a day, six days a week, taking his weekly tally to 24. NH says this is far higher than the number performed in any hospital globally, and dramatically reduces cost. Also, frugality is the watchword at NH. It does not buy all its equipment. It leases some on a pay per use basis. This keeps capital costs low. Great emphasis is given to maintaining equipment and extending its life. The buildings are designed to keep costs low, too. NH's Mysore Hospital was designed and built at a cost of Rs 18 lakh per bed, when the thumb rule cost of a similar hospital is Rs 50 lakh to Rs 1 crore a bed. At times, no doubt, the frugal approach did not work. The concept of zero inventory, for instance, was one such. NH did not store consumables and got suppliers to deliver them just in time. There were problems and the measure was reversed, and an in-house store set up. "An important element of innovation is to accept failures and take corrective measures," says Dr A. Raghuvanshi, Vice Chairman and Group CEO, NH. The hospital has set up a central buying unit (CBU) and standardised purchase of consumables and devices. Close to 80 per cent of all purchases are through the CBU. This has cut inventory costs by 15 to 40 per cent and ensured quality. NH also adopted technology to aid information flow. Here too the frugal mindset came into play. It deployed its enterprise resource planning (ERP) on the cloud rather than setting up data centres. This not only cut initial costs but was easily scalable. The IT system helps NH in many ways. An sms is sent at noon daily to senior doctors and administrators informing them of the previous day's revenue, expenses and EBITDA details. This enables the management to decide quickly when requests for free or subsidised surgery come. "This is our way to not turn away such requests and at the same time keep our noses above water," says Dr Shetty. "Also, looking at the P&L (profit and loss) account at the end of the month is like reading a post mortem report." NH also mines data to raise quality levels. Its business intelligence model throws up real time data on 30 different parameters that the management may want to track for improving efficiency. Those related to clinical outcomes are then discussed at the weekly Mortality Morbidity Meeting held every Thursday where all major clinical procedures are discussed among doctors and best practices shared. "Through business intelligence, we are trying to map the performance of each doctor in terms of clinical outcome and financial data such as consumable used during surgery, time patient has spent in ICU and duration of stay in the hospital," says Dr Raghuvanshi. NH has also been open to experimenting. When it set up a 104-bed hospital at Cayman Islands in the Caribbean, it chose to use the cold water available from the sea to replace the energy intensive refrigeration system. Energy savings, as a result, were as high as 90 per cent. This is significant considering that power cost in the islands was three times that of the US. NH's decision to set up oxygen plant there rather than source them will soon be implemented in its other hospitals as the plant pays back in just six months. There are challenges, of course. Cash flow is always a problem as over 50 per cent of the outstanding is from the government. "We never have money," says Viren Shetty, son of Dr Shetty and Vice President (Strategy and Planning) at NH. This has forced the hospital to shift to an asset light model for expansion. "We prefer not to invest in land or building but just in equipment," he adds. NH, meanwhile, continues to grow and Dr Shetty's target is to reach 30,000 beds. He is confident that India will soon become the first country in the world to disassociate health care from affluence. "The wealth of a nation has little to do with quality of health care its citizens can enjoy," he says. Not many will disagree.